Administrator Role: Allows access to the Administration Portal for managing physical and virtual resources. An administrator role confers permissions for actions to be performed in the VM Portal; however, it has no bearing on what a user can see in the VM Portal. User Role: Allows access to the VM Portal for managing and accessing virtual machines and templates. A user role determines what a user can see in the VM Portal. Permissions granted to a user with an administrator role are reflected in the actions available to that user in the VM Portal. The table below describes basic user roles which confer permissions to access and configure virtual machines in the VM Portal. Can access and use virtual machines and pools. Can log in to the VM Portal, use assigned virtual machines and pools, view virtual machine state and details. Can create and manage virtual machines and templates. Apply this role to a user for the whole environment with the Configure window, or for specific data centers or clusters. For example, if a PowerUserRole is applied on a data center level, the PowerUser can create virtual machines and templates in the data center. System administrator of a virtual machine. Can manage virtual machines and create and use snapshots. A user who creates a virtual machine in the VM Portal is automatically assigned the UserVmManager role on the machine. The table below describes advanced user roles which allow you to do more fine tuning of permissions for resources in the VM Portal. Limited privileges to only use Templates. Can use templates to create virtual machines. Can use, view and edit virtual disks. Inherits permissions to use the virtual machine to which the virtual disk is attached. Can create virtual machines in the VM Portal. This role is not applied to a specific virtual machine; apply this role to a user for the whole environment with the Configure window. Alternatively apply this role for specific data centers or clusters. When applying this role to a cluster, you must also apply the DiskCreator role on an entire data center, or on specific storage domains. Can create, edit, manage and remove virtual machine templates within assigned resources. This role is not applied to a specific template; apply this role to a user for the whole environment with the Configure window. Alternatively apply this role for specific data centers, clusters, or storage domains. Can create, edit, manage and remove virtual disks within assigned clusters or data centers. This role is not applied to a specific virtual disk; apply this role to a user for the whole environment with the Configure window. Alternatively apply this role for specific data centers or storage domains. Can edit and delete the template, assign and manage user permissions for the template. This role is automatically assigned to the user who creates a template. Other users who do not have TemplateOwner permissions on a template cannot view or use the template. Logical network and network interface user for virtual machine and template. Can attach or detach network interfaces from specific logical networks. System Administrator of the Red Hat Virtualization environment. Has full permissions across all objects and levels, can manage all objects across all data centers. Possesses administrative permissions for all objects underneath a specific cluster. Possesses administrative permissions for all objects underneath a specific data center except for storage. Do not use the administrative user for the directory server as the Red Hat Virtualization administrative user. Create a user in the directory server specifically for use as the Red Hat Virtualization administrative user. Administrator of a virtual machine template. Can create, delete, and configure the storage domains and network details of templates, and move templates between domains. Can create, delete, configure, and manage an assigned storage domain. Can attach, remove, configure, and manage a specific host. Can configure and manage the network of a particular data center or cluster. A network administrator of a data center or cluster inherits network permissions for virtual pools within the cluster. System Administrator of a virtual pool. Can create, delete, and configure a virtual pool; assign and remove virtual pool users; and perform basic operations on a virtual machine in the pool. Can create, delete, configure, and manage Gluster storage volumes. Import and export Administrator of a virtual machine. Can import and export virtual machines. Able to view all virtual machines and templates exported by other users. Select a role from the Role to Assign drop-down list. 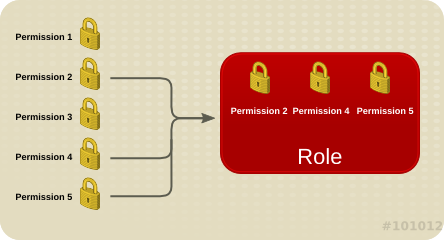 The user now has the inherited permissions of that role enabled for that resource. Can use, create, delete, manage all physical and virtual resources within a specific data center except for storage, including clusters, hosts, templates and virtual machines. Can configure and manage the network of a particular data center. A network administrator of a data center inherits network permissions for virtual machines within the data center as well. A cluster administrator is a system administration role for a specific cluster only. This is useful in data centers with multiple clusters, where each cluster requires a system administrator. The ClusterAdmin role is a hierarchical model: a user assigned the cluster administrator role for a cluster can manage all objects in the cluster. Use the Configure button in the header bar to assign a cluster administrator for all clusters in the environment. Can configure and manage the network of a particular cluster. A network administrator of a cluster inherits network permissions for virtual machines within the cluster as well. Network Administrator for data center, cluster, host, virtual machine, or template. The user who creates a network is automatically assigned NetworkAdmin permissions on the created network. Can configure and manage the network of a particular data center, cluster, host, virtual machine, or template. A network administrator of a data center or cluster inherits network permissions for virtual pools within the cluster. To configure port mirroring on a virtual machine network, apply the NetworkAdmin role on the network and the UserVmManager role on the virtual machine. Can configure, manage, and remove a specific host. Can also perform network-related operations on a specific host. Can create, delete, configure and manage a specific storage domain. Can create, delete, configure and manage Gluster storage volumes. System Administrator role of a virtual pool. Can create, delete, and configure a virtual pool, assign and remove virtual pool users, and perform basic operations on a virtual machine. 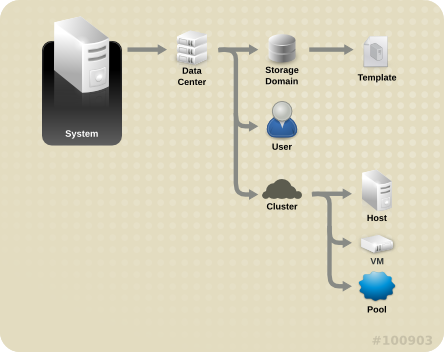 Can use, create, delete, manage all virtual machine pools in a specific cluster. Red Hat Virtualization Manager provides two default virtual disk user roles, but no default virtual disk administrator roles. One of these user roles, the DiskCreator role, enables the administration of virtual disks from the VM Portal. This role can be applied to specific virtual machines, to a data center, to a specific storage domain, or to the whole virtualized environment; this is useful to allow different users to manage different virtual resources. The table below describes the user roles and privileges applicable to using and administrating virtual disks in the VM Portal. This role is not applied to a specific virtual disk; apply this role to a user for the whole environment with the Configure window. Alternatively apply this role for specific data centers, clusters, or storage domains.